The Clifden Boat Club is a small sailing Club situated on the west coast of Ireland, just two miles outside the picturesque town of Clifden, Connemara. The committee and members of the club have been working hard to provide fantastic yacht racing and also some great sail training. The team at Clifden Boat Club, having hosted the West Coast Championships for 2007 and 2008, are looking forward to another exciting and rewarding sailing season in 2009. 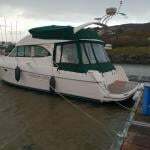 The Club is situated at the eastern end of the very sheltered Clifden bay providing great anchorage and easy access to a slip. Clifden harbour is 1km farther east providing a very safe and sheltered tidal harbour with a draft of about 3m at mean high water. The clubhouse itself is close to the Clifden Bay anchorage and has shower/changing rooms a bar and restaurant. 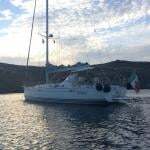 Services Available include Visitors Moorings and safe anchorage. Fuel and Lube oil available in drums from Clifden town and tanker deliveries to Clifden quay. There is an internet Cafe in Clifden. The Boat Club is available for meetings and conferences by arangement. 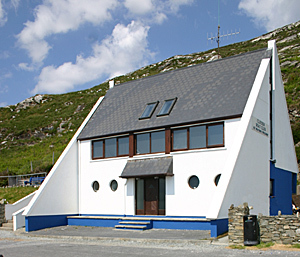 The First port of call for visitors should be the Clifden Boat Club where facilities are available and where information can be obtained.